More resources to this unit can me found on my post here. Cut up your favourite poster and turn it into a daily Five 'work with words' centre (or print this one off). Distribute images to students, in turn we proclaim, 'J'aime les ______' or 'Je n'aime pas les _______.' Images are velcro-ed onto the poster. While students eat their lunch and snack during this unit we tally who has items from each of the four food groups. 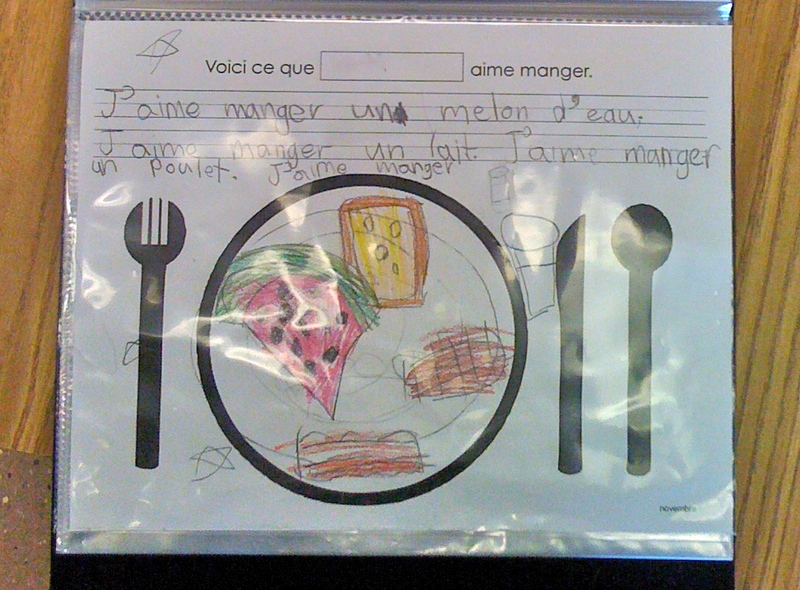 Students easily learn their snack vocabulary and the four food groups in a short time.